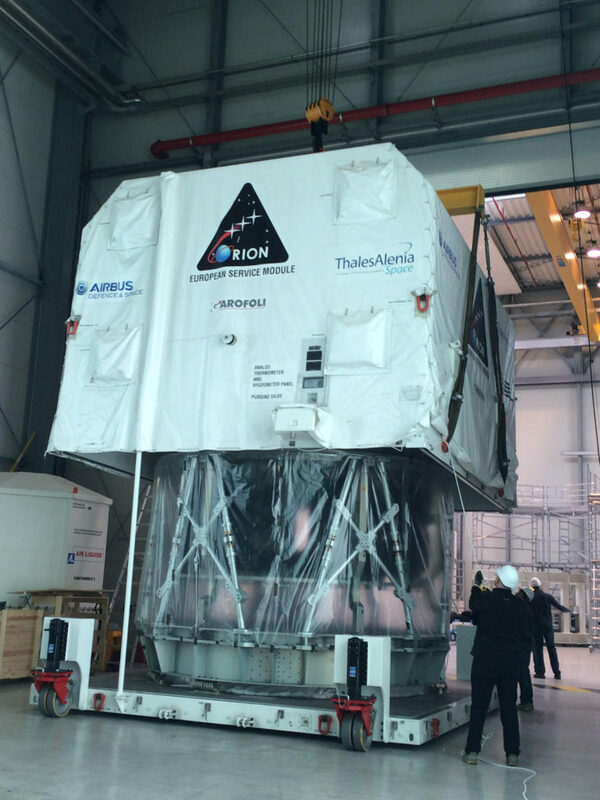 April 26, 2016 – The first flight structure of the Orion European Service Module was delivered by Thales Alenia Space to the Airbus DS site in Bremen, Germany on April 25, 2016. This is the actual chassis that will be launched into space during Exploration Mission-1 (EM-1) in 2018. The European Service Module sits directly below Orion’s crew capsule and provides propulsion, power, thermal control, and water and air for four astronauts. The Orion spacecraft’s Propulsion Qualification Model (PQM) is ready for the start of integration activities in Sweden. Although the PQM will not go to space, the model serves an important role in development process, ensuring everything works as planned. The model has four stainless-steel tanks 2000 liters each with walls 1 cm thick. 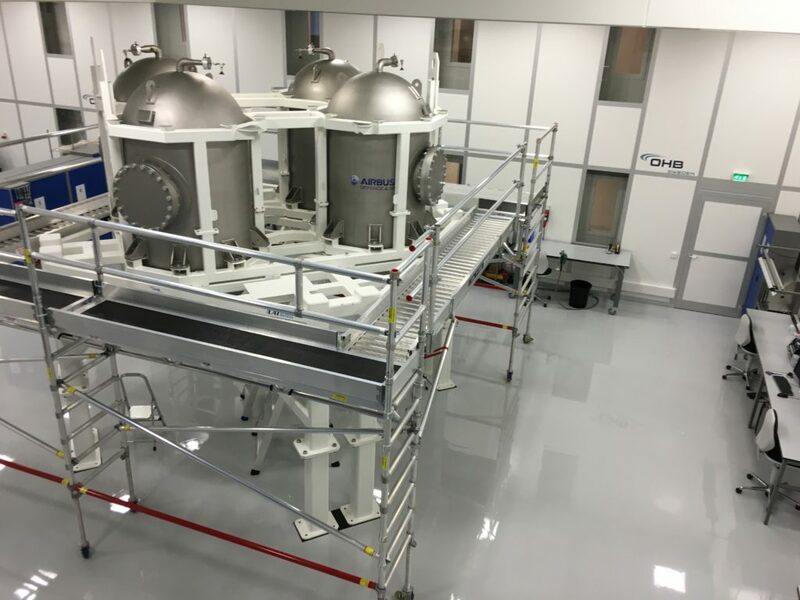 Other elements of the PQM include two high-pressure helium tanks; pressure-control systems; the sensing and command system with drive electronics; the propellant lines with shut-off valves; filters; and the engines that will propel and orient Orion. The engines that are part of the propulsion system include a US Space Shuttle engine as main engine, eight auxiliary thrusters and 12 smaller thrusters for the Reaction Control System, made by Airbus DS in Lampoldshausen, Germany. Meanwhile, a structural test article has been undergoing rigorous testing in NASA’s Plum Brook Station in Ohio to ensure the structure and components can withstand the extreme stresses during launch. The Solar Array Wing will be subjected to acoustic testing to recreate the intense sounds and vibrations of launch. The solar array spans 19 meters and provides enough power for two households. The first, uncrewed, launch of the full Orion vehicle is planned for 2018 with the first European Service Module. It will fly beyond the Moon and back, returning to Earth at higher speeds than any other previous spacecraft. EM-1 will also mark the first time that an Orion capsule will launch on NASA’s Space Launch System (SLS).